The primary difference is this time we’re going to use CentOS instead of Ubuntu. 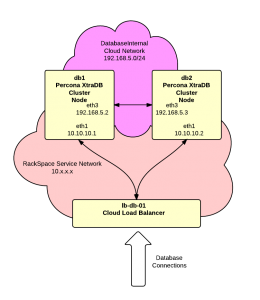 In this article we’re going to build a Percona XtraDB Cluster using a pair of RackSpace Cloud Servers. Percona XtraDB Cluster is a MySQL compatible replacement supporting multi-master replication. For this project we’ll use the latest CentOS release and we’re going to use RackSpace Cloud Networks to setup an isolated segment for the replication between the cluster nodes. We’ll do two nodes in the cluster but you can add additional nodes as desired. Finally we’ll use a RackSpace Cloud Load Balancer to distribute traffic between the nodes. In the Networks section, when creating the first server, click the “Create Network” button and add a network named “DatabaseInternal”. When creating additional servers, make sure that you select the “DatabaseInternal” network. Now reboot the server to get a clean system without SELinux. Replace x.x.x.x with the IP address of the client (web) server. This tells Percona what address to advertise to other nodes in the cluster. We need this set to the server “DatabaseInternal” interface. Without this setting SST will fail when it uses the wrong interface and is blocked by the firewall. This line identifies at least one other member in the cluster. Notice that we’re using the names we set in the /etc/hosts file. The above example for my.cnf is very minimal. 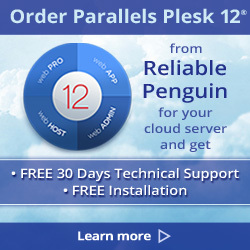 It does not address any database memory or performance tuning issues so you’ll likely want to expand upon the example. root@db1:~# /etc/init.d/mysql bootstrap-pxc Bootstrapping PXC (Percona XtraDB Cluster)Starting MySQL (Percona XtraDB Cluster).... SUCCESS! Bootstrapping PXC (Percona XtraDB Cluster)Starting MySQL (Percona XtraDB Cluster).... SUCCESS! This step is optional. The .my.cnf is convenient but should not be used in high security environments. 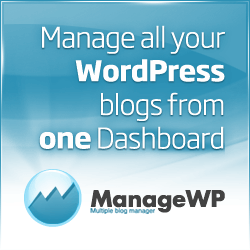 Notice that the wsrep_cluster_size is 1 and the wsrep_cluster_status is “Primary”. This is normal for the first node in a newly bootstrapped cluster. root@db2:~# /sbin/service mysql start Starting MySQL (Percona XtraDB Cluster)......SST in progress, setting sleep higher. SUCCESS! Starting MySQL (Percona XtraDB Cluster)......SST in progress, setting sleep higher. SUCCESS! Startup for the second node adds the SST or “State Snapshot Transfer”. In this step the servers will use rsync and SSH keys to transfer a copy of the the database from the first server to the second server. Notice now according to the “wsrep_cluster_size” there are 2 nodes in the cluster. At this point we have a functional cluster up and running. The most likely cause is a problem resolving or connecting to the db1-int server for SST. mysql -e "CREATE FUNCTION fnv1a_64 RETURNS INTEGER SONAME 'libfnv1a_udf.so'" mysql -e "CREATE FUNCTION fnv_64 RETURNS INTEGER SONAME 'libfnv_udf.so'" mysql -e "CREATE FUNCTION murmur_hash RETURNS INTEGER SONAME 'libmurmur_udf.so'"
10. Add load balancer – The next step is to add the RackSpace Cloud Load Balancer. The load balancer will provide a single IP address for clients to connect to. It will then distribute these connections to the nodes in the cluster. a. Login to your RackSpace Cloud Control Panel. b. Go to Hosting section and the Load Balancers tab. c. Click the “Create Load Balancer” button. d. In the “Identification” section, enter a name for the load balancer like “lb-db-01” and select the Region. Use the same Region that the cluster nodes are located in. e. In the “Configuration” section, select “On the Private RackSpace Network” for the “Virtual IP”. Set the “Protocol” to “MySQL” and the port to “3306”. Set the “Algorithm” to “Least Connections”. f. In the “Add Nodes” section, click the “Add Cloud Servers” button and select each of the servers in the cluster. g. Click the “Create Load Balancer” button to save the new load balancer. Notice that this is a private, unroutable address on the RackSpace Service Network. This address is not accessible from the public Internet but it is visible to other cloud servers and devices in the same region on the RackSpace Service network. This is the address that your web or application servers will use to connect to the database. 11. Load balancer access controls – To minimize exposure of the database servers we need to add access controls on the load balancer that will limit the range of addresses that are allowed to connect. Generally you’ll only want connections from your web or application servers. In the RackSpace Cloud control panel, drill down to your load balance, find “Access Control” rules at the bottom and add a rule or rules to allow your client servers. Of course if you’re dynamically adding and removing servers then it might not be possible to use these access controls. Or you might need to use the load balancer API to dynamically change access controls. Now from your web application should be able to connect to the database cluster with the user that you just create. The database host should be the address of the load balancer. At this point you’re done! You have a working database cluster connected to your web application. Questions and comments are welcomed. 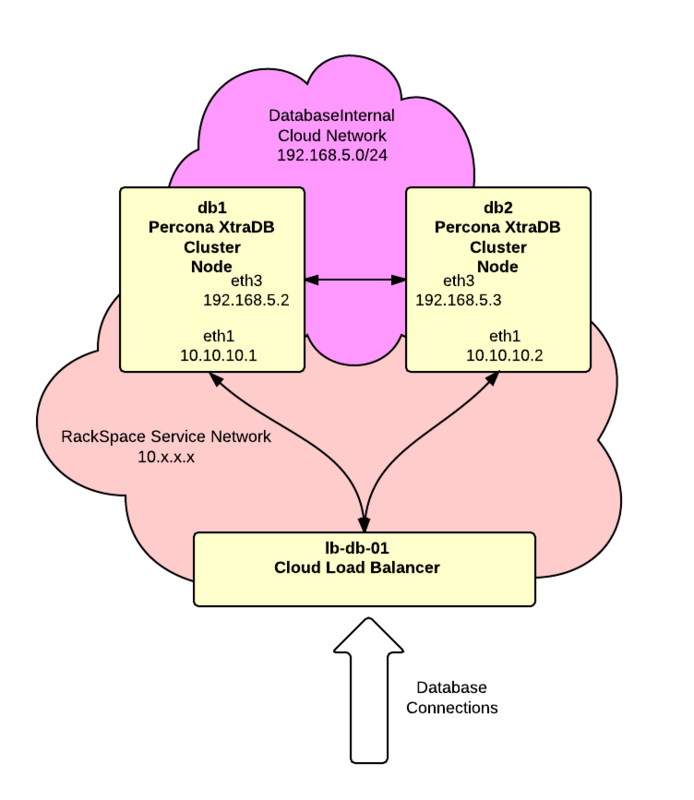 In this article we’re going to build a Percona XtraDB Cluster using a pair of RackSpace Cloud Servers. Percona XtraDB Cluster is a MySQL compatible replacement supporting multi-master replication. For this project we’ll use the latest Ubuntu release and we’re going to use RackSpace Cloud Networks to setup an isolated segment for the replication between the cluster nodes. We’ll do two nodes in the cluster but you can add additional nodes as desired. Finally we’ll use a RackSpace Cloud Load Balancer to distribute traffic between the nodes. Now reboot the server to get a clean system without apparmor running. You’ll be prompted by the installer to enter a root password for MySQL. root@db1:~# /etc/init.d/mysql bootstrap-pxc * Bootstrapping MySQL (Percona XtraDB Cluster) database server mysqld [ OK ] * Checking for corrupt, not cleanly closed and upgrade needing tables. root@db2:~# /etc/init.d/mysql start * Starting MySQL (Percona XtraDB Cluster) database server mysqld * SST in progress, setting sleep higher mysqld [ OK ] * Checking for corrupt, not cleanly closed and upgrade needing tables. 11. Add load balancer – The next step is to add the RackSpace Cloud Load Balancer. The load balancer will provide a single IP address for clients to connect to. It will then distribute these connections to the nodes in the cluster. 12. Load balancer access controls – To minimize exposure of the database servers we need to add access controls on the load balancer that will limit the range of addresses that are allowed to connect. Generally you’ll only want connections from your web or application servers. In the RackSpace Cloud control panel, drill down to your load balance, find “Access Control” rules at the bottom and add a rule or rules to allow your client servers. Of course if you’re dynamically adding and removing servers then it might not be possible to use these access controls. Or you might need to use the load balancer API to dynamically change access controls. The tools will be in the myq_gadgets-master folder. 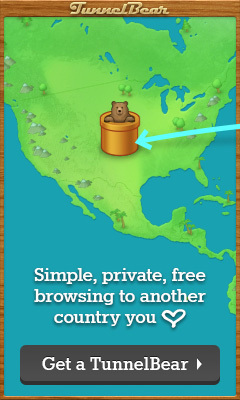 There’s no installer so you can just start using the tools immediately. For instructions see the enclosed README.txt.